The two Koreas and the US wrapped up working level talks Monday, having reportedly dealt with issues regarding the upcoming US-North Korea summit and regional security. 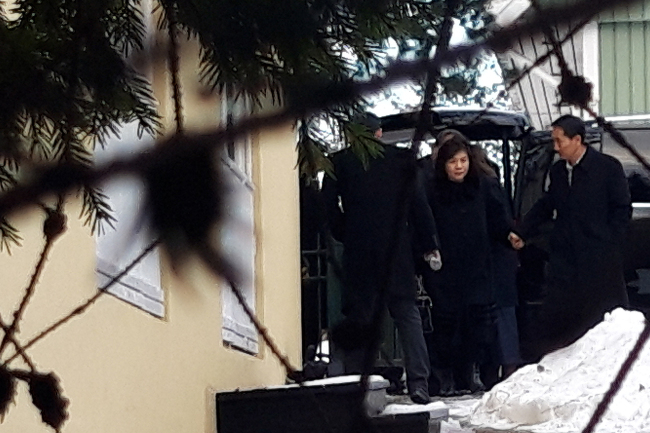 On Monday, US Special Representative for North Korea Stephen Biegun, North Korean Vice Foreign Minister Choe Son-hui and South Korean negotiator Lee Do-hoon concluded their talks held on the outskirts of Stockholm. Details of the meeting remain undisclosed, but Sweden’s Foreign Ministry said that the talks were “constructive,” and that issues ranging from economic development to long-term engagement were discussed. Seoul’s Ministry of Foreign Affairs declined to elaborate on the meeting, saying that the participants of the conference agreed to keep the details undisclosed. Regarding Seoul’s participation, the ministry simply said it was part of South Korea’s ongoing efforts to facilitate US-North Korea talks and for establishing peace on the Korean Peninsula. The meeting following hard on the heels of a meeting between US President Donald Trump and a top North Korean official has prompted speculations that the Stockholm meeting is likely the start of US-North Korea working-level talks for arranging the second US-North Korea summit. Trump met with Kim Yong-chol, North Korea’s ruling Workers’ Party’s Central Committee vice chairman, on Friday. Trump described the meeting as “incredible” and revealed that the two sides had agreed to hold the summit near the end of February, and that the location would be announced at a later date. In the run up to the US-North Korea summit held in Singapore last year, the two sides held a series of working-level talks in Singapore and Panmunjom. According to a Reuters report citing an unnamed diplomatic source, the three sides also dealt with regional security at the talks in Sweden, discussing “different mechanisms for regional security,” raising the possibility that discussions may be linked to North Korean leader Kim Jong-un’s suggestion of multilateral negotiations. In his New Year speech, Kim said that North Korea should actively seek multilateral negotiations to replace the armistice with peace on the Korean Peninsula.